The English grad in me loves to play around a bit with quotes and take them completely out of context, which I have done here with great pleasure. "For life be, after all, only a waitin' for somethin' else than what we're doin', and death be all that we can rightly depend on." Now, I'm not Bram Stoker, but I have to say that an old fella Mansplaining that death is the one thing in life we can count on in a book very famously about the incessant rising of the undead is meant to be at least a bit of a joke. I've decided to ignore all of this and rip the quote right out of context for my own gain, and turn it into an inspiring observation that we simply are never satisfied in life-- ghoulish irony not included. 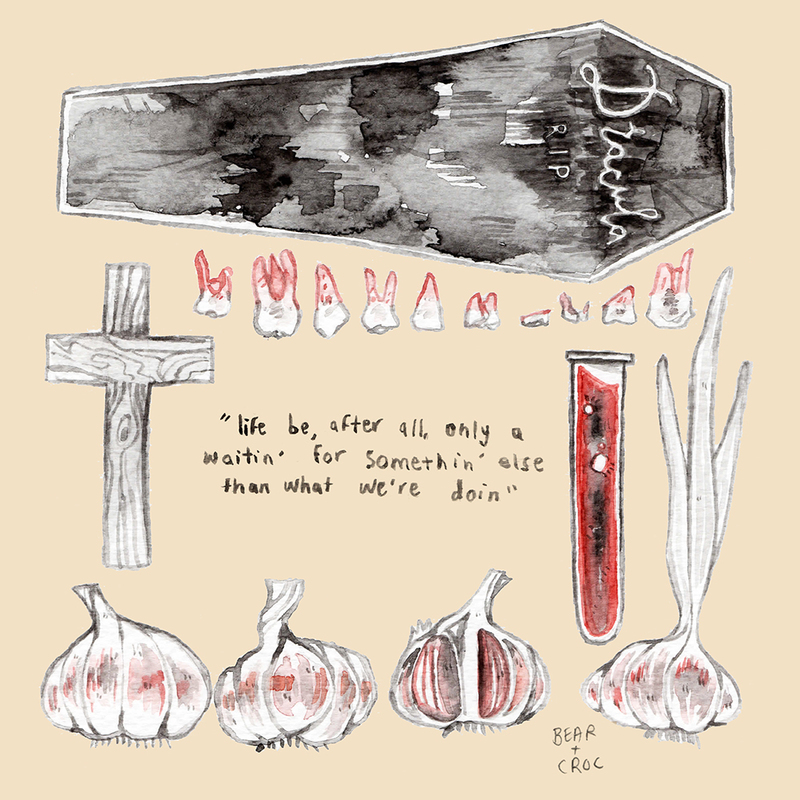 We could all do with stopping and smelling the roses (/garlic) every now and then. Have you ever read Dracula? Did you love it, or read it at school and want to stab yourself in the heart with a stake? Let me know!